Admit it. You were thinking about it this past week. You were not alone. A colleague of mine and I were discussing what many folks were dreaming about. Suppose. Just suppose. You had all the numbers. What then? I kid you not. As we hypothesized out loud I mentioned that if by some miracle the Powerball gods were to smile on down I of course would do the obvious. Pay off all debts. Change my e-mail address and phone numbers. Hire a security guard for my front door. Talk to an expert about investments. Put money toward Kyla’s university funding. Charitable donations. Eventually you gotta have some fun. New landscaping. New furnishings. New car. A grand vacation. Or two. But I also confessed to my friend that no, I wouldn’t stop working (Fool that I am). I would quit my job…and then open a restaurant. Unsure where it would be. However the decor and atmosphere would be based on what just might be the greatest movie ever. Not sure what the menu might look like. That vision was beyond my lottery-winning dreaming. I know this theme was attempted in Las Vegas many years ago, and it failed. Probably because there was no prime rib, cheese curds or old fashioneds. We could fix that. Unlike Humphrey Bogart I doubt I’d be running the joint at the eerie hours of the morning in a tuxedo. I just imagine the wow factor of the most classic movie and its night club ambience. Maybe I’d throw in some expertise from Joe Bartolotta or Chris Wiken from the Packing House. Conventional wisdom and prior history tells me despite my sudden millions I’d be a fool. Starting and opening a restaurant? Are you out of your mind? Lorri Mealey has worked in all facets of the restaurant business, from hostess to owner, and writes about the myths of owning a restaurant. While fun is what you make of it, it would be a bit of a stretch to assume that the restaurant business is all fun and games. In reality, it is a lot of hard work and pressure. Owning a restaurant means you will be at work a majority of the time, especially at the beginning. This includes weekends, holidays, and family events. Restaurants can earn a lot of money, however, most revenue will need to be put back into the business to keep it running. Expenses include items such as payroll, sales, sales, , insurance, rent, mortgage, food and supplies, liquor, utilities, and repairs. a restaurant owner can earn a decent living but only if they intend to work in the restaurant. Many people think they will open a restaurant and draw a paycheck without actually cooking managing staff, or waiting tables. This may work in the beginning, but restaurants can’t support those who don’t work. Starting your own restaurant? It would help tremendously if you had a massive winning Powerball ticket in your pocket because the endeavor is going to be quite expensive. When your restaurant is up and running you have to manage its prime cost: the sum of all of its labor costs (salaried, hourly, benefits, etc.) and its COGS (cost of goods sold), the cost required to create each of the food and beverage items that you sell to guests. Generally the prime cost represents about 60% of a restaurant’s total sales. Within the past few months I noticed that a particular local restaurant’s menu prices have gone up a bit. And that’s a trend that could continue, with restaurant owners having no control about it. 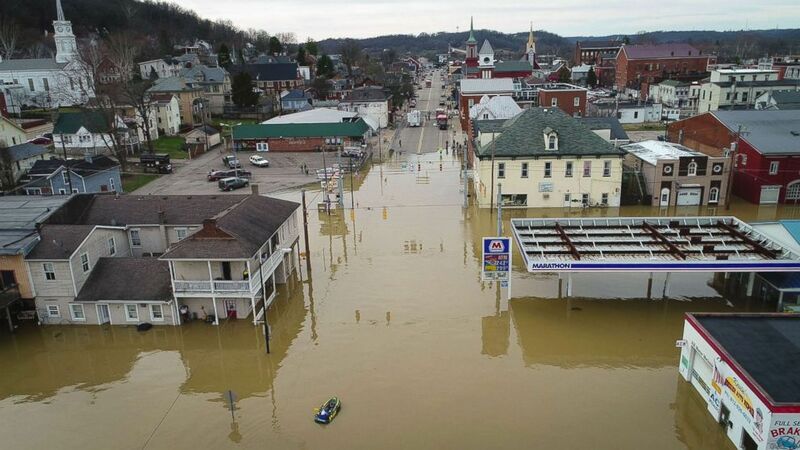 Rainstorms that swept across the Midwest combined with melting snow, leading local officials in several cities to declare a state of emergency. Will food costs go up? They might. It will take a few months to find out. Might want to think again before you curse the price of that filet mignon.